Sky-Watcher STARGATE Dobsonians with their huge light gathering capabilities provide the ultimate WOW factor experience for aficionados of visual astronomy, delivering outstanding performance on both Planetary and Deep-Sky objects. The elegant and rigid all metal truss tube design is easily transportable when unassembled, and can be assembled and ready for use in about 20 minutes. 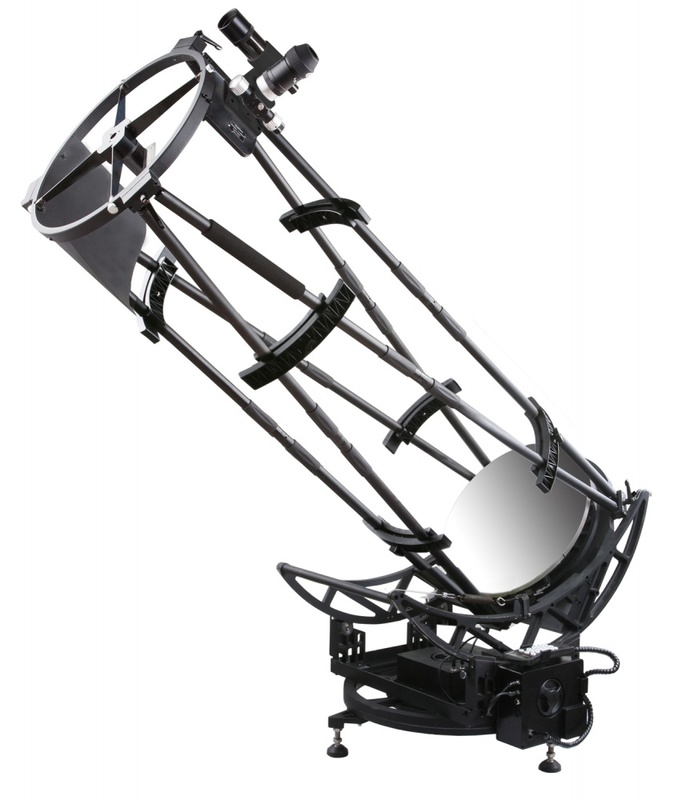 The mount provides motorised operation in both Alt and Azimuth axes, and can slew the telescope automatically to, and track over 42,900 night sky objects from the Synscan handset's extensive computerised database. Features Freedom-Find™ Dual-Encoder technology, which also allows the telescope to be moved manually in either axis without losing it's alignment or positional information, giving the user enormous convenience and flexibility during observing sessions. Simply push the telescope close to the object and let the computer do the rest of the work!